State Rep. Erin Maye Quade, a freshman Democrat from Apple Valley, said Schoen repeatedly texted her soon after she had announced her campaign for the state House, at first offering campaign advice but later inviting her to his house, assuring her that his children weren’t home. Maye Quade had not met Schoen in person at that point. Schoen said he doesn’t intend to resign, telling MinnPost that the allegations were taken out of context or, in some cases, that they’re false. He did not immediately respond to an Associated Press request for comment on Thursday. “Despite this, if any of my actions or words have ever made another person feel uncomfortable or harassed, I deeply regret it and truly apologize,” Schoen said in a statement. Late Thursday, Alyssa Siems Roberson, a spokeswoman for Senate Democrats, said Schoen had hired an attorney. That move came despite calls from Gov. Mark Dayton and other Democratic leaders for Schoen to step down immediately. Republican Senate Majority Leader Paul Gazelka threatened to lodge a formal ethics complaint if Schoen doesn’t and Senate Minority Leader Tom Bakk — Schoen’s superior — suggested the Senate could vote to expel him. Minnesota’s constitution allows the state House and state Senate to remove members by a two-thirds vote due to “disorderly behavior.” But the Legislature won’t return until February. Bakk called the allegations “sobering and disturbing” after speaking with him Wednesday. “I have discussed these allegations with my leadership team and we are united in our call for Sen. Dan Schoen to apologize, step aside, and seek care to address these actions,” Bakk said in a statement. A captain in the Cottage Grove Police Department didn’t immediately reply to a request for comment. The city later issued a statement saying Schoen had been put on administrative duties pending a state investigation, though it wasn’t clear that any such investigation was underway. The city said it wasn’t aware of any allegations against Schoen in his role as an officer. 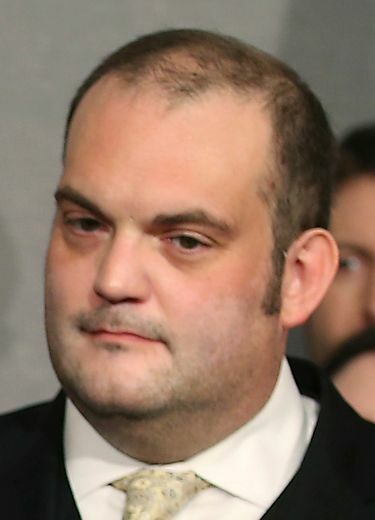 State Rep. Jamie Becker-Finn, a Democrat who said she believes Maye Quade’s and Port’s allegations, suggested more stories of sexual harassment may come from the Minnesota Capitol.